Every Tuesday, La Dauphine and Cherry Pie Twins will be posting photos of our fashionable Toddlers to our Instagram accounts using the hashtag #mytoddlerhasstyle. If you have a fashionable little one (whether they are infants, toddlers, preschoolers or big kids), we want you to join us! Share by taking a photo and including the hashtag #mytoddlerhasstyle. 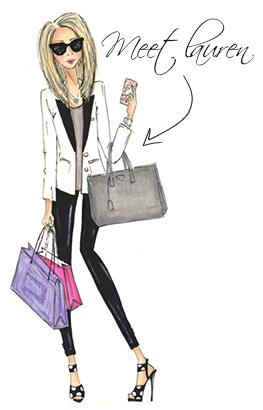 You can find us on Instagram @ladauphinestyle and @lovingyouischerrypie. We are already in full blown holiday mode at La Dauphine and Cherry Pie Twins! The holiday season not only provides so many opportunities to get dressed up and glammed out... it also means getting cosy in warm, comfy holiday sweaters. 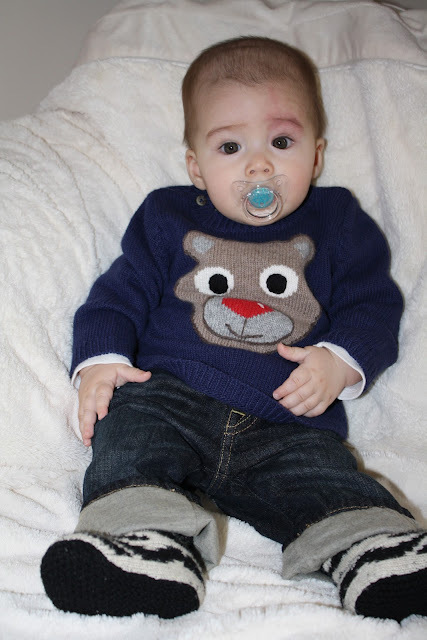 I've included two photos of Kingsley's past holiday sweaters and have picked out some of my favourite holiday sweaters right now (they're all from Baby Gap - there are so many great things there right now). This first photo is an outtake from our 2012 holiday card photo shoot. Kingsley is wearing a Lacoste dress shirt and Ralph Lauren Polo sweater. This photo is from Kingsley's first Christmas. This cashmere reindeer sweater was the CUTEST! I don't remember the brand but it was from Neiman Marcus. I picked up #2,4 and 5 for Kingsley during the Gap 30% off Friends & Family sale this weekend. 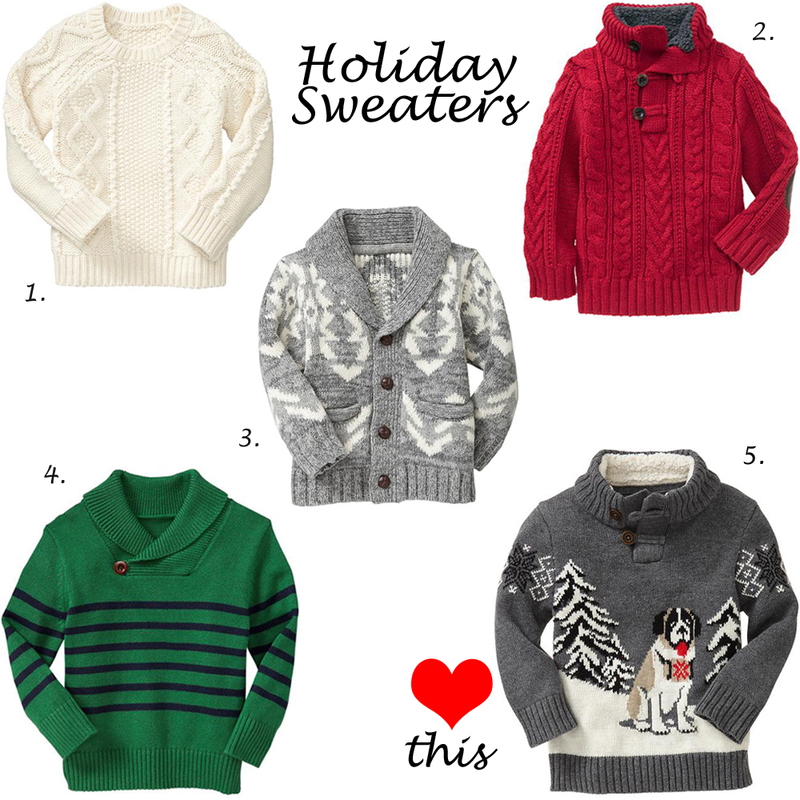 They're all great sweaters for the Holiday's but the Intarsia Dog sweater is crazy adorable! I can't wait to see Kingsley in it.